Over a financial services career beginning in 1998, David has given advice across all areas of financial planning, whilst gaining in-depth experience advising in the areas of tax efficient investment planning, retirement planning and inheritance tax planning. 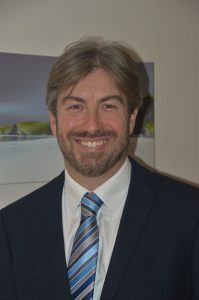 Before founding Bright Future Financial Ltd and becoming part of the Vision Team, David held positions with Britannic Assurance, Portman Financial Services, HSBC Bank (in the southwest and Guernsey) and Tilney Bestinvest. David is a Chartered Financial Planner, Retirement Planning Specialist, Later Life Advice Specialist, and also a Fellow of the Personal Finance Society. “I believe that good quality professional independent advice, combined with a well-designed and reviewable financial plan, can help clients to achieve, maintain and protect the lifestyle they want, for themselves and their family. I take the trust that clients place in me as a personal responsibility, and I firmly believe that professional financial planning can change lives. It’s why I do what I do.